The Barron Water Control District (District) is a multi-jurisdictional independent special district (Florida Statute §189.012(3)) located in Glades County and Hendry County. The District is governed by a three-member Board of Supervisors. The public purpose of the District is to provide for the operations and maintenance of drainage canals and protective dikes which serve to irrigate, drain and discharge excess water from lands and canal systems within the District. To meet the demands of the District, a variety of services are provided by a team consisting of six employees and a number of consultants. 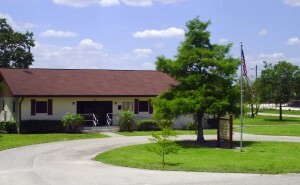 Through an intergovernmental agreement, the General Manager and Staff Assistant also provide services to the Port LaBelle Community Development District collocated on the same premises. NOTICE: This website is currently under revision. If you are unable to access any part of the website, with or without the use of an assistive device, please contact us at 863-675-0346.